Just like anything else, running is something that you need to learn and practice! Maybe you ran the 5km course last year and are looking to increase your distance, or perhaps you completed the 10km course and would like to push for a better time? Maybe you've never run at all but want to pick up the pace... We've compiled a few resources to help you achieve your goals! Click here to download our favourite 10km learn to run program. And here is a Half Marathon training program for runners of any level. You can also click here to see the group sessions and clinics through our partner running stores you might like to try. 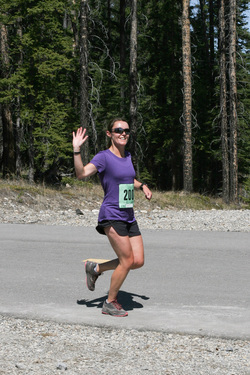 Finally, we have a list of running tips shared by Shelley of SCsquared2 Strength Coach.